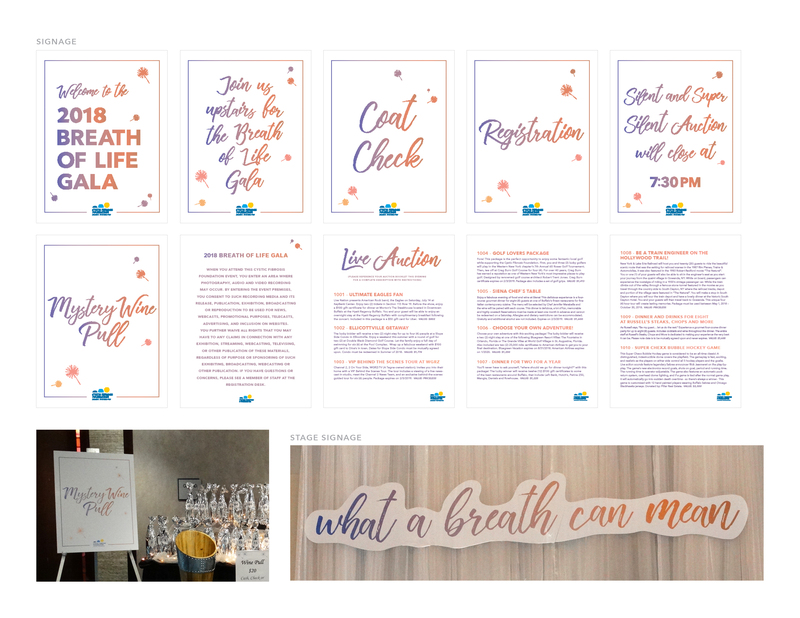 Promotional, print, and environmental design created for the 2018 Breath of Life Gala hosted by and benefiting the Cystic Fibrosis Foundation (WNY Chapter). 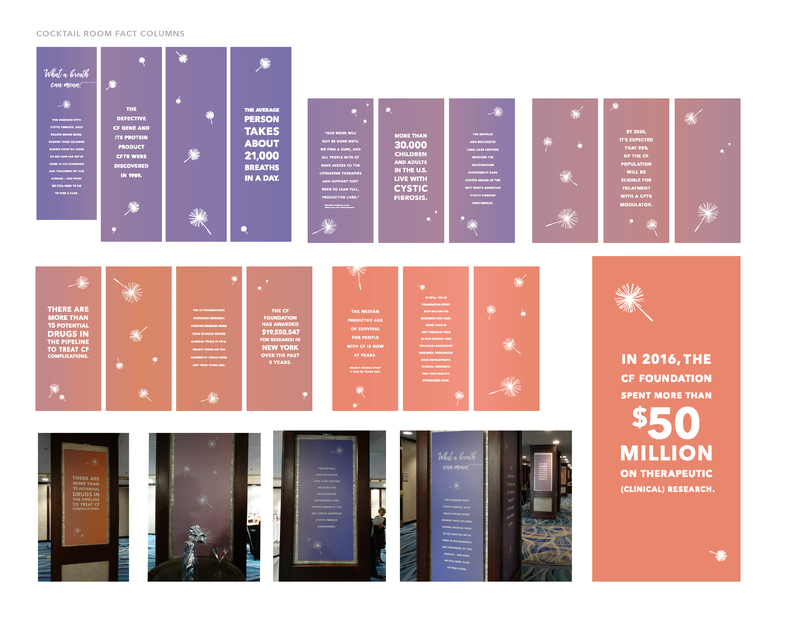 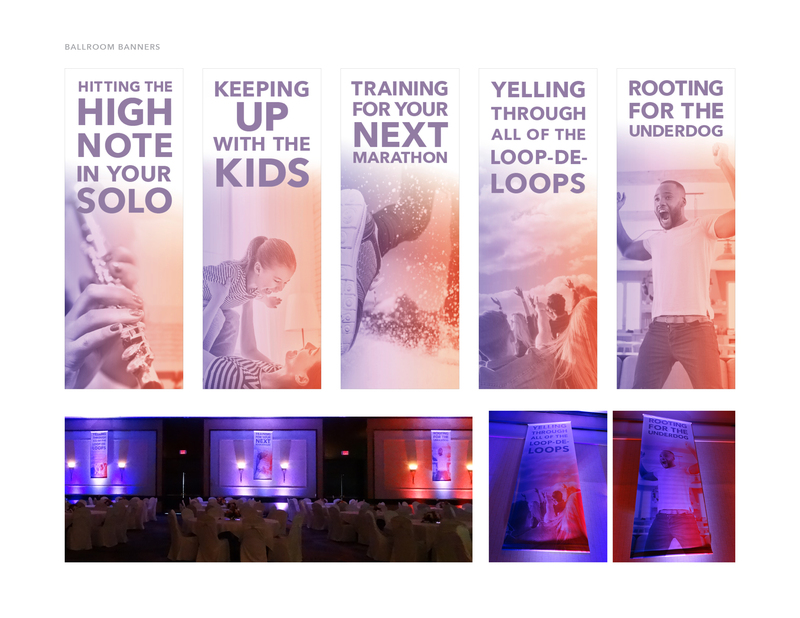 The Breath of Life Gala, one of the organization’s largest annual fundraisers, serves as a platform to share research and development successes, tell inspiring stories about those living with CF, and raise awareness as well as dollars to help find a cure. 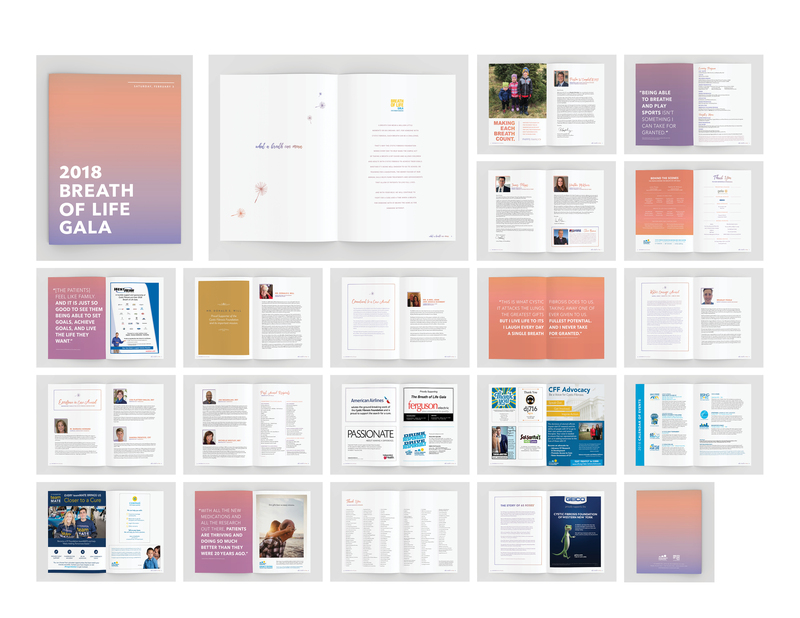 All of the materials focused on a what a breath can mean to individuals living with CF, along with the families and caregivers who support them.